To request additional information on this event. We have the pavilion all day. Lunch will be served at the noonish hour. You may bring your own adult beverages of beer, wine or champagne. We will have water, ice, lemonade and iced tea. We will have some very cool items for our raffle and for door prizes. Of course, we will accept any donations. 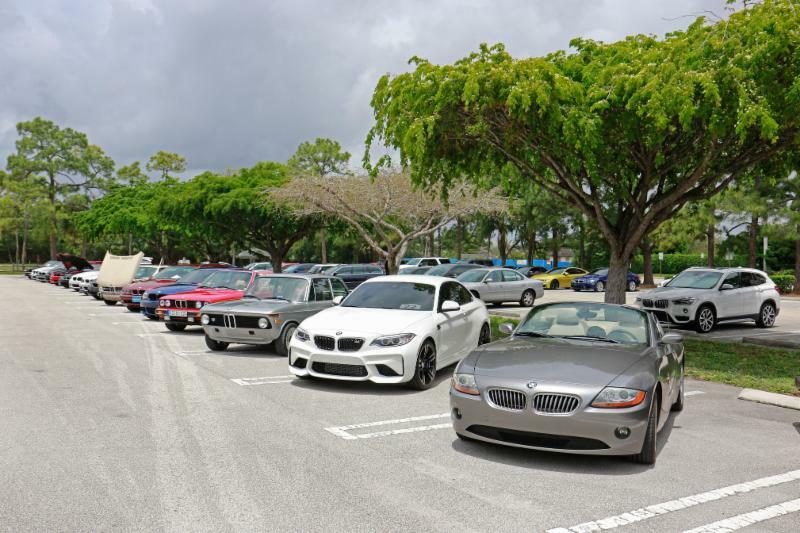 Shine your BMW – we will have the People’s Choice (open to members and BMWs only) Car Show. We no longer do the Q-Tip-white-glove judging of your car (we could, but we don’t) it is all about the members voting for their favorite BMW – vintage or new, it’s all up to you! The Picnic is free to all members/associates, a plus 1 guest) and children under 12. We do ask for a small donation of $10 p/p for guests. 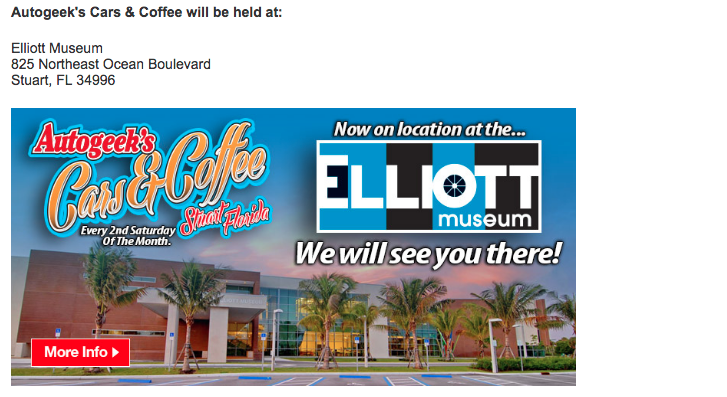 Please RSVP with you name and how many will be attending (if any are under 12) EMAIL: rsvpevergladesbmwcca@gmail.com The Museum and Japanese Gardens are open 10am till 5Pm visit website at morikami.org for ticket information if you would like to see the museum. 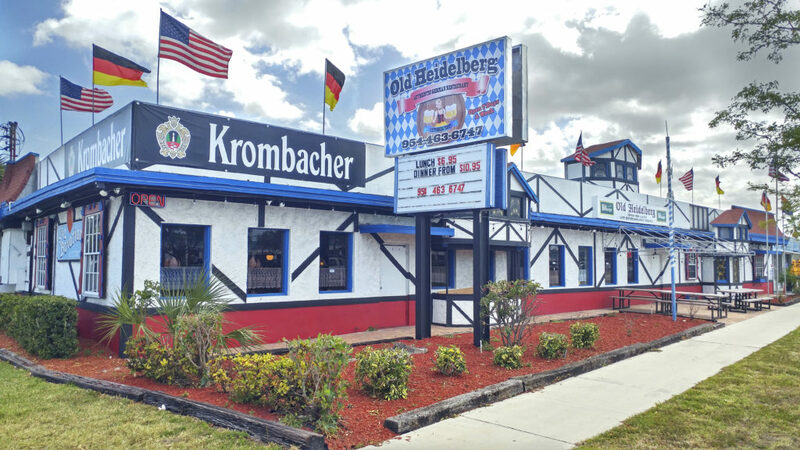 Please note NEW ADDRESS: Miller’s Ale House on N. Kendall Drive. 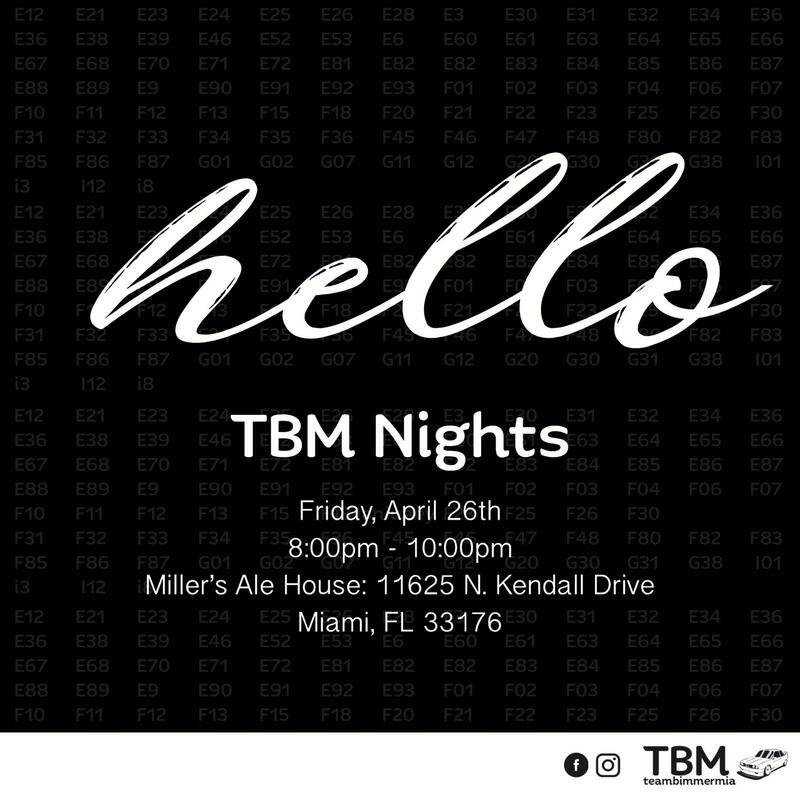 TeamBimmerMIA’s monthly meet location is now at Miller’s Ale House on N. Kendall Drive.